LG has released the latest PC Suite for the Company's mobile phones. ...... kit allowing the user to Connect the PC to the internet through the phone modem. * Texting Fun Starts Now! Texting and chatting now becomes one. Enjoy texting just like online chatting with Threaded SMS. You can now keep your text threads in one conversation screen. With LiveSquare all your favourite contacts will now show up on your home screen as avatars, so now when your friend sends you a message their avatar will prompt you. So * Easy! So Trendy! 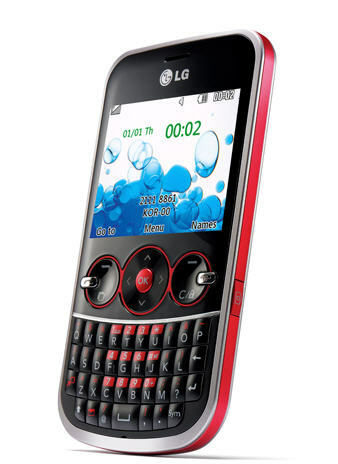 Slim, sleek and colourful, The LG GW300 is a phone that screams 'trendy' and easily fits into your hands. Not only that, but the QWERTY Keyboard lets you text faster and easier. No more limited earphones for your handset. The GW300 supports 3.5mm headphone jack. And with expandable memory of up to 4GB microSD, you can now enjoy your music while you are on the go. Qweas is providing links to LG PC Suite 2.0.1.15 as a courtesy, and makes no representations regarding LG PC Suite or any other applications or any information related thereto. Any questions, complaints or claims regarding this application LG PC Suite 2.0.1.15 must be directed to the appropriate software vendor. You may click the publisher link of LG PC Suite on the top of this page to get more details about the vendor.